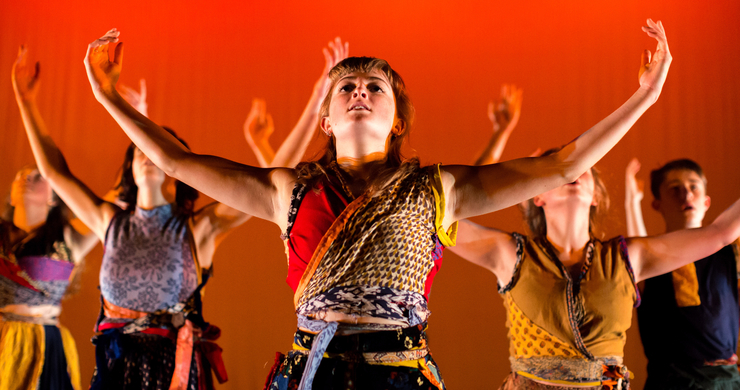 Somerset and South West dance groups of all ages and backgrounds showcase their work on a professional stage. This year will be the 15th outing of the hugely popular Spring Forward Dance Festival, which for the first time ever is opening its arms to the entire Somerset dance community, with groups of all ages and backgrounds showcasing their work on a professional stage. Enjoy a kaleidoscope of choreography, including Jazz, Contemporary, Street Dance and Dance Theatre, featuring the nationally acclaimed Somerset Youth Dance Company, along with fantastic, feel good performances from local school groups, youth dance companies and Somerset dance schools. As ever all three platform events will feature young dancers, with the last event at the Octagon Theatre in Yeovil, dedicated solely to youth dance and featuring over twenty groups and performances. The platform at the Tacchi-Morris Art Centre will showcase community dance groups of all ages and genres, making exciting and vital work. The event at The McMillan Theatre in Bridgwater will focus on dance and digital innovation and will feature dance films/digital, alongside live performance from groups of all ages. Alison Lord, Dance Director at Take Art, said “Spring Forward will always have youth dance at its heart but this year we wanted to make the festival more inclusive, with a greater focus on community and digital innovation. For audiences, Spring Forward is a great opportunity to support young dancers and also dancers from your community. The standard is high and the entertainment value will leave you beaming. So come along and join in the fun."